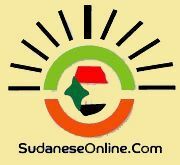 UNITED NATIONS, May 5 (Reuters) - The United States is planning to impose sanctions on individuals on both sides of the South Sudan conflict in the coming days, U.S. and other diplomatic sources told Reuters on Monday. The sources, who spoke to Reuters on condition of anonymity, said that the sanctions would involve a ban on travel to the United States and the freezing of any assets under U.S. authority. People on both the rebel and government sides will be targeted, the sources added, without disclosing names.